We're on the eve of Black Friday 2016 week (yes, it's a week now) but you won't even have to wait that long to get some nice savings on gaming goods and a sweet TV to play them on. 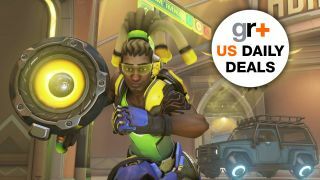 For this final US daily deals post before the madness truly begins, we have a very nice 65" 4K TV and several great deals on some of this year's biggest games. Check out all the below offers and don't miss the rest of our best gaming deals. This is the number-one recommended 4K TV from Amazon, and you could say Amazon knows its televisions. Now at a nearly 50 percent discount for savings of more than $1,300, this 65-inch flatscreen has pretty much everything you'd want in an LED TV: HDR support with super-deep black shades, standard 3840x2160p resolution, and a big enough screen to appreciate every one of those tiny little pixels. Your PS4 Pro and future Xbox One Scorpio will love it.